October 25, 2017 January 25, 2018 - by Author - 2 Comments. This post is about Best speakers under Rs. 2000 so let’s start -: Music is the best way to enjoy your moments with friends and family whether that is a party or some casual enjoyment, different types of movies and songs are coming in these days with extra bass and treble. In order to enjoy some good quality songs and movies, we need good quality of Best speakers under Rs. 2000 in India. when considering speakers you have to choose between best 2.1 speakers and best 5.1 speakers, although 2.1 speakers are less expensive than 5.1 speakers and don’t take much space in your room and still gives great sound experience in budget. If you can expand your budget and have more space in your room or home so 5.1 speaker offers a great surround sound quality. In this post I will show you some of the best speakers under Rs. 2000 so you can buy a best speaker under 2000 Rs. set in your budget. Let’s talk about speakers with some good details. The Intex IT-212 SUFB comes with very good looks and nice build quality with a nice volume rotary controller in front and bass and treble knobs are on the side so you can control the bass and treble effect simultaneously. The speaker comes with 4000 w pmpo power and delivers very good sound including bass and treble, comes with a remote and inbuilt LED display in front that will help you to see the inputs and sound effects. Speaker comes with Bluetooth, USB, SD card, AUX, FM connectivity so you can play your movies and songs with any type of devices weather that is MP3 player or mobile , laptops or anything. It’s very light weight with 2.8 kg only. this is the best choice in best speakers under Rs. 2000 from Intex. The Zebronics SW2490 comes with elegant looks and nice quality of plastic built with wood cabinet and volume rotary controller, bass and treble knobs are in front so you can control bass and treble effect simultaneously. The speaker comes with 2700 w pmpo power and delivers rich sound including bass and treble, comes with a remote and inbuilt LED display in front that will help you to see the inputs and sound effects. Intex speaker comes with USB, SD card, AUX, FM connectivity so you can play your movies and songs with any type of devices weather that is MP3 player or mobile , laptops or anything. It’s very light weight with 3.6 kg only. this is the best choice in best speakers under Rs. 2000 from Zebronics. This Best 2.1 speaker from F&D comes with 1500 w pmpo with wooden cabinet that delivers ultimate sound experience it has a 4-inch bass sub-woofer driver and 2.5-inch driver for satellites, these super features makes it the best choice in best speakers under Rs. 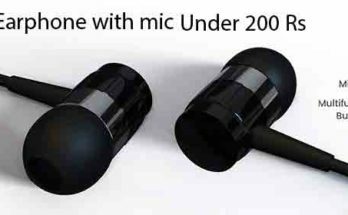 2000 with great sound quality and you can connect it from your phone and enjoy your music, it has a blue power indicator light that will help you to know that speaker is on or off. This Best speaker under 2000 Rs. from Creative comes with 2.5 Watts (2 channels) RMS per channel and 4 Watts RMS Subwoofer with wooden cabinet that delivers ultimate sound experience these super features makes it the best choice in best speakers under Rs. 2000 with great sound quality and you can connect it from your phone and enjoy your favorite songs , it has a green power indicator light that will help you to know that speaker is on or off. The iBall Raaga comes with elegant looks with pure wood material with volume rotary controller and bass knobs are in front so you can control treble effect. The speaker comes with total 14 w RMS power and delivers rich sound including bass and treble. You can connect it to walkman, PC, VCD/DVD players, MP3, TV, music systems so you can play your movies and songs with any type of devices weather that is an MP3 player or mobile , laptops or anything. It’s very light weight with 459 g only. If your budget is 1500 Rs. Than this is the best choice in best speaker under 1500 Rs. from iBall. This Best 2.1 speaker from F&D comes with excellent build quality and 3000 w pmpo with wood cabinet and side panel volume and bass knob that delivers ultimate sound experience it has 4-inch bass sub-woofer driver and a 4-inch driver for satellites, it comes with Built in Automatic Voltage Regulator these super features make it the best choice in best speakers under Rs. 2000 with great sound quality and you can connect it from your TV, phone, MP3, DVD, PC and enjoy your music, it has a green power indicator light that will help you to know that speaker is on or off. The iBall Rhythm 69 comes with decent looks with pure wood material with volume rotary controller and bass knobs are in front so you can control bass effect. The speaker comes with 8W RMS output for woofer and 3W RMS output for each Satellite that delivers rich sound including bass and treble. This Best 2.1 speaker from F&D comes with excellent build quality with nice black color with wood cabinet and satellite volume and bass knob that delivers ultimate sound experience it has 3-inch bass sub-woofer driver and 2-inch driver for satellites and these super features makes it the best choice in best speakers under Rs. 2000 with great sound quality and you can connect it from your TV, phone, MP3, DVD, PC and enjoy your music, it has a red power indicator light that will help you to know that speaker is on or off. This Best 2.1 speaker from iBall comes with excellent build quality with nice black color with wooden cabinet and on front digital display & volume knob. It comes with a remote and 4-inch sub-woofer driver and 2-inch driver for satellites with total 14w RMS power and these super features makes it the best choice in best speakers under Rs. 2000 with great sound quality and you can connect it from your TV, phone, MP3, DVD, PC and enjoy your music, it has an FM antenna so you can enjoy your favorite FM channel and a red power indicator light that will help you to know that speaker is on or off. The F & D V620 comes with decent and premium looks with two 1.5 inch full range satellite with inbuilt LED light and you can control volume via volume rotatory. Its 2.0 channel speakers and support Bluetooth connectivity so you can directly connect your mobile and laptop with this. You can connect it to walkman, PC, VCD/DVD players, music systems and enjoy your movies and songs from mobile, laptops. it’s very light weight with 862 g only. If your budget is 1500 Rs. than this is best choice in best speakers under 1500 Rs. from F&D. Next Article Best projector for home under 10000 Rs. Your Welcome, Bala and keep visiting tech4ever.in for new useful informations.